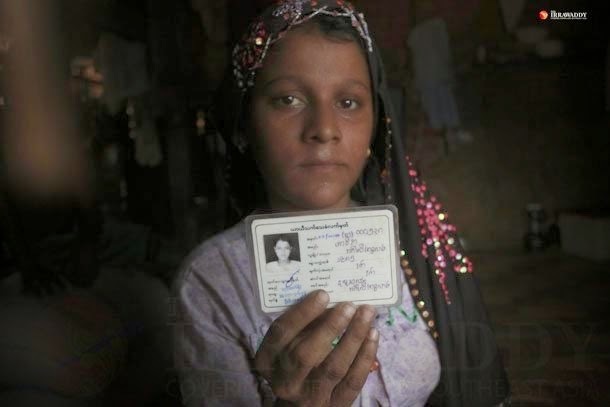 The news of Myanmar regime allowing the Rohingya white card holders - temporary resident permits - to vote in the 2015 has triggered loud protests from political groups and parties in Myanmar. Aside from the regime playing election year politics - forget for a moment that the elections in Burma are fictional - the news has exercised a large segment of Burmese society, especially political opposition groups. Immediately, it has diverted public attention from the long-march by university students which was gathering steam across the country. The Burmese public, including Aung San Suu Kyi, have shown themselves to be as anti-Muslim AND anti-Rohingya racist as the generals and ex-generals in power. The difference between the ruling government and the opposing political opposition groups is in their divergent calculations as to whether allowing half-million Rohingya white card holders would serve their interest or the other camps'. Contrary to the overwhelming public opinion that Rohingya (or Bengali, in the Burmese racist lingo) are illegal or legal economic migrants from Burma, they are entitled to full citizenship and a nationality, to start with. Since Myanmar's official campaign in 1978 to cleanse the strategic Western border region of any sizable Rohingya, the Rohingyas have been made foreigners and illegal economic migrants in their own ancestral land of Northern Arakan. Against the continuation of this official campaign, granting them the right to vote and participate in the country's national political life is welcome. There is absolutely no question that Thein Sein government is using the Rohingyas - more than a HALF-million Rohingya white card holders - as voting bodies the same way the American plantation owners in the American South included enslaved Africans in their head-counts; it is sheer self-interest that motivates the Burmese government to let the Rohingyas vote. But that is a separate issue which primarily concerns political parties such as the Rakine National Party and the National League for Democracy that stand to loose 500,000 votes in Rakhine state to the ruling Union Solidarity and Development party. 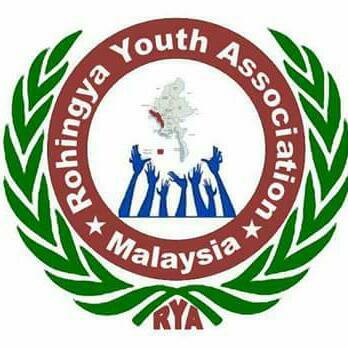 Any and all protests against Rohingya identity, their participation in public and electoral life, the provision of international humanitarian support and solidarity are categorically un-justified. In fact these protests are rooted in the decades-old-government-manufactured false narratives and rumors about the Rohingya which wrongly portray them as greedy economic migrants and 'pests' - the same way the Nazis portrayed the Jews in the 1930's and 1940's. To say that the move to allow Rohingya white card holders to vote in this year's general elections was made by the Parliament is still inaccurate. The separation of power between the Parliament under ex-General Shwe Mann and the executive branch led by ex-General Thein Sein is fictional and theatrical. There is only one coordinating body of generals and ex-generals. They are playing a single game of elections with the common goal of keeping the military above the law and keeping the ruling military's political proxy USDP in power through farcical electoral means. The same logic, different divisions of labor.